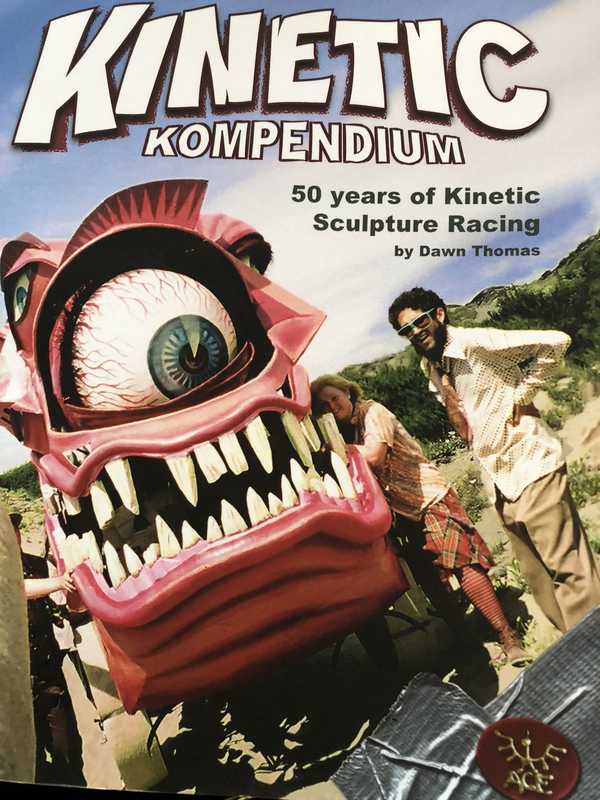 This morning I spoke with Dawn Thomas, the author of the Kinetic Kompendium, 50 Years of Kinetic Sculpture Racing. This is a big 600 page compressive history of the Kinetic Sculpture Race. It is loaded with picture from the glorious beginning in 1969 till now. It is also pretty much a "who's who" of the race. It is fully indexed with a list of the rules, a glossary of terms and much more. Each race, year to year is covered plus pictures and details about the other Kinetic Sculpture races around the country that this one spawned. FYI, "Cliff and Amy Berkowitz" page is #316. The book is available on Amazon at at the book's official website KineticKompendium.com. At that website you can also purchase a limited number of hardcover copies.